Looking for a gift that’s a little out of the ordinary? 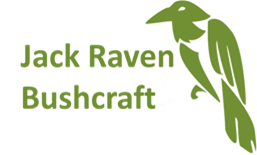 Give your loved one an unforgetable experience with Jack Raven Bushcraft. Alternatively, you can buy a Cash Voucher for £25, £50, £75 or £100, redeemable against any course. To buy one of these Cash Vouchers, scroll down the page to ‘Cash Vouchers’, select the amount and click on the bottom ‘Add to bag’. We’ll send you your Gift or Cash Voucher either in the post or by email, whichever you prefer. Gift and cash vouchers are valid for 1 year from the date of purchase.